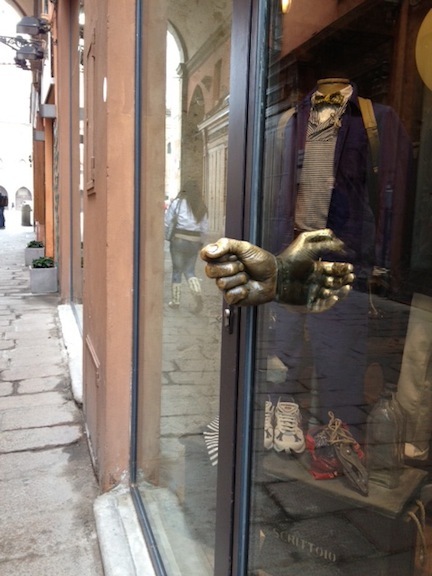 While running to an appointment in Bologna, Italy recently, this fabulous doorknob caught my eye. I stopped long enough to photograph it as I have a love of hands used in architecture. That is not a reflection. Their are two hands! One on the interior and one for the exterior. Most people are familiar with the iconic "praying hands" by Albrecht Durer. He also made his way to Bologna around 1507 to "learn the secret art of perspective". 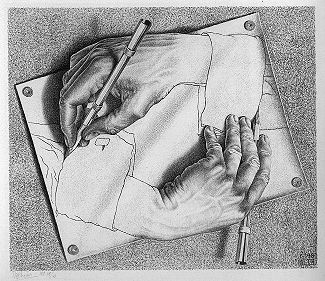 And then there is the lithograph of Escher's "Drawing Hands".. Hands used as door handles are more common in other countries, it seems. 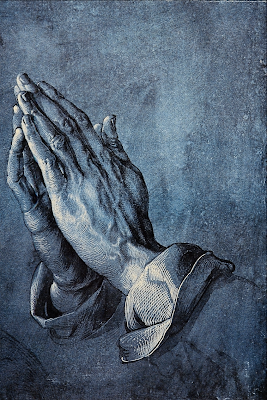 These hands are examples of yoga positions. The hands are very important in healing the body and keeping it in balance. Be still my heart! 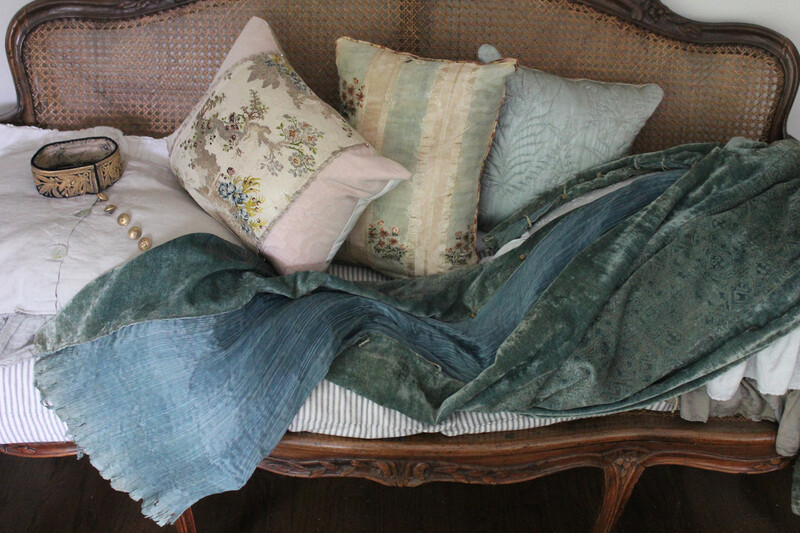 ....The best example is this one posted by Regina Garay of Fauxology and is the home of Thierry Bosquet featured in Entra magazine. 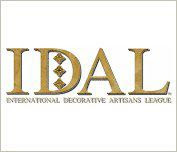 This article is one of my favorites! 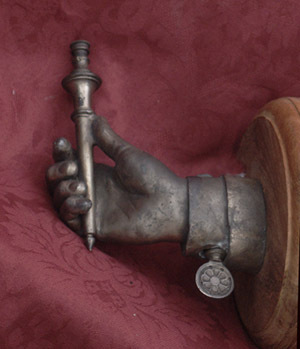 ...I once left behind a wonderful wooden carved hand at a Paris flea market...have regretted it ever since! 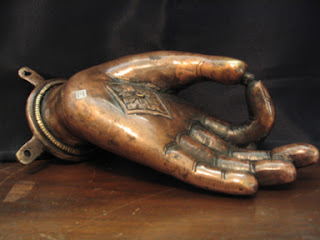 I am on the prowl now for vintage carved hands at antique sales. Wish me luck! 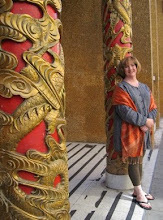 Hi, Theresa - Thanks for introducing me to Entra Magazine - I enjoyed the whole issue, and of course especially enjoyed Thierry Bosquet's house. Good luck on the hand collection! P.S. 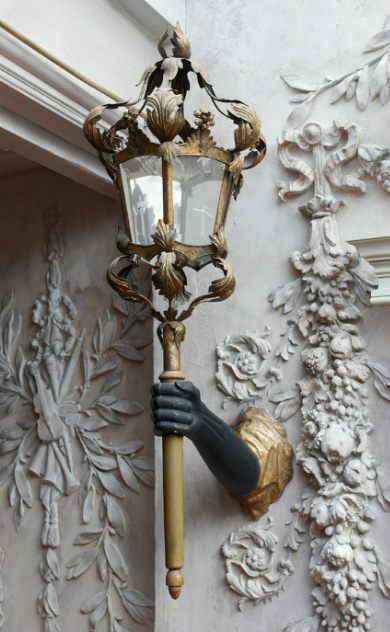 There's a 1930's film version of Beauty and the Beast where arm sconces like Bosquet's line a hallway and move as one passes by. It's one of my all-time favorite film sequences. I have seen that movie and remember the hallway scene! Great analogy! Thanks for reading. 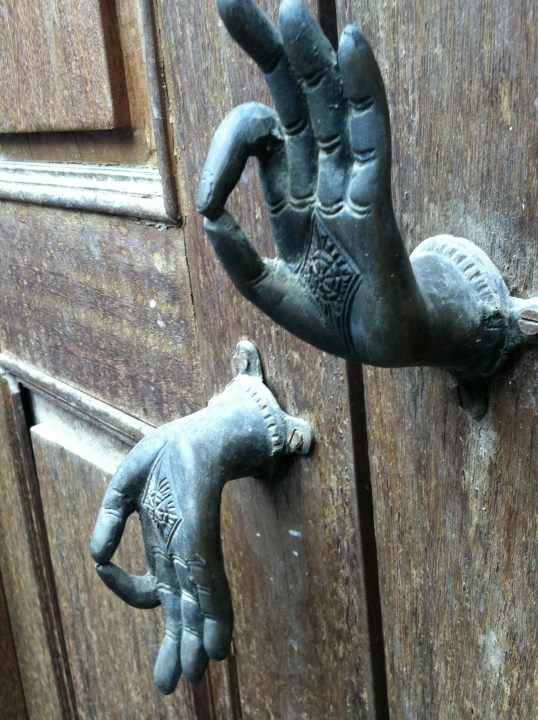 I love these hand door pulls and the Escher work of art! Teresa, Regina's image of the hand-held lantern is exquisite!